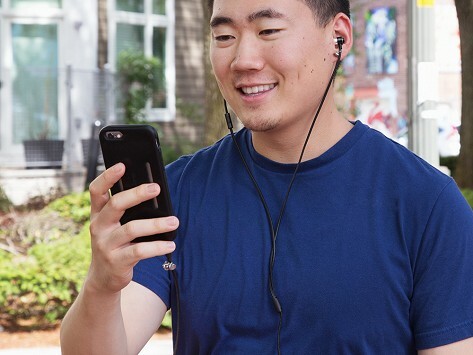 A shake is all it takes for Loopit headphones to untangle themselves. Magnets connect the earbuds and audio jack, sidestepping the threat of tangled wires. Use the magnets as a clasp and you can wear the headphones like a cord necklace—and easily remove it when you need to switch from an accessory to a phone call or listening to music. Dimensions: 39" x 0.25" x 0.25"
Liked them till they broke. The plug broke off in the jack after just a few uses. Your days spent unknotting wires are over. 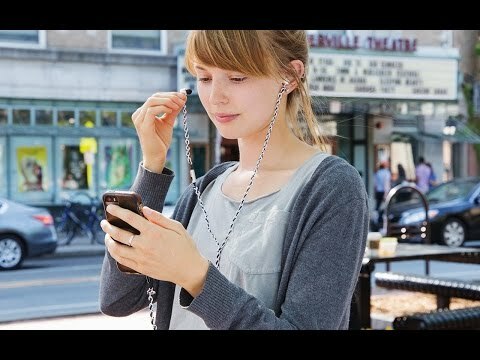 Loopit Headphones are designed to untangle themselves—and can double as a necklace, too. With just a few shakes, it’s knot-free and ready to use. The lack of tangles is thanks to strategically placed magnets that connect the earbuds and the audio jack. Take creator Vanessa Chan’s word for it—she researched wire knots to figure out how to prevent them. She learned that tangles are most likely to occur when headphones are loose. She also discovered the tangle-fighting magnetic closure has another benefit—it acts as a clasp that lets you wear Loopit as a necklace, and easily transition into headphone action. Have your headphones handy and knot-free—all while it looks like you’re wearing a necklace.